SAN FRANCISCO: Burson-Marsteller recently hired Sabrina Guttman as deputy chair of its US tech practice. 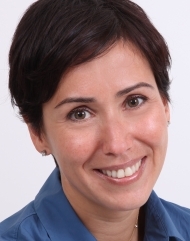 SAN FRANCISCO: Burson-Marsteller has hired Sabrina Guttman as deputy chair of its US tech practice, a newly created positon. Guttman, who is based in San Francisco and reports to Jim Goldman, the agency's US tech practice chair, started working at Burson-Marsteller on August 22. As a former director in the agency's tech practice, where she worked on the HP account from 2005 through 2007, Guttman will provide client counsel and also play a significant role in new business development. She was hired for the position due to her experience with strategy, operations and media, and her knowledge of the tech sector. Before joining Burson, Guttman had a short stint at Ruder Finn as global head of the agency's recently formed tech and innovation practice. She cited a poor fit as her reason for leaving. “I'm really happy that this all worked out and I'm going back to Burson,” Guttman said.